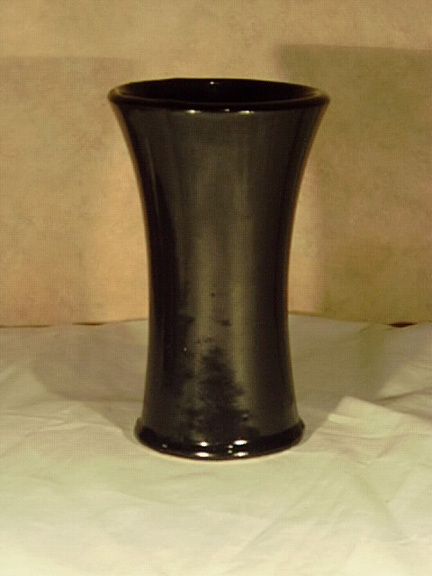 Description: My Bauer book calls this shape a carnation jar, but this is not Bauer. Marked with an underlined 7. 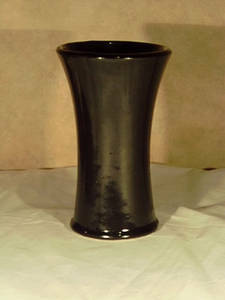 Black glaze. About 7 inches tall. Note the rim on the bottom. I have seen this one before, just don't remember the details. Maybe Pacific Stoneware, or Morton. Please contact me if you know, or leave comment. Thank you. 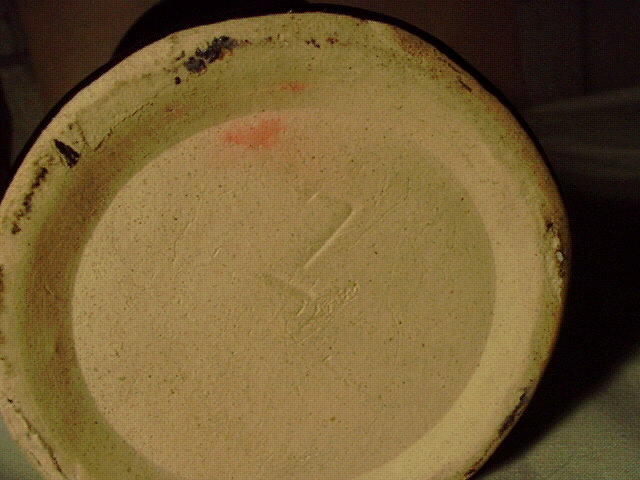 Looks like Zanesville clay, Peters and Reed bottom rim with RRPCO numbering? Peters and Reed made this shape but not with this clay? Thanks for looking. This is another of those *everyone made one* shapes. I know I have seen this vase before, with the number, identified. I seem to remember it was someone on the west coast, but I can't remember. Should have noted it in the inventory book when I saw it. Oh well. Wow, it is the same shape a P&R. Will be posting one on this site soon. But you are right, the P&R is red clay.